Mexico is one of the destinations that I keep travelling back to. In addition to its famed coastline, of which there is an incredible 9330km of it, Mexico is also home to 67 national parks. But besides the nature, Mexico is also an ideal destination for culture lovers. And then there’s Mexican cuisine. Finally, the people. Mexicans are some of the friendliest people I’ve ever met anywhere, right up there with Guatemalans. 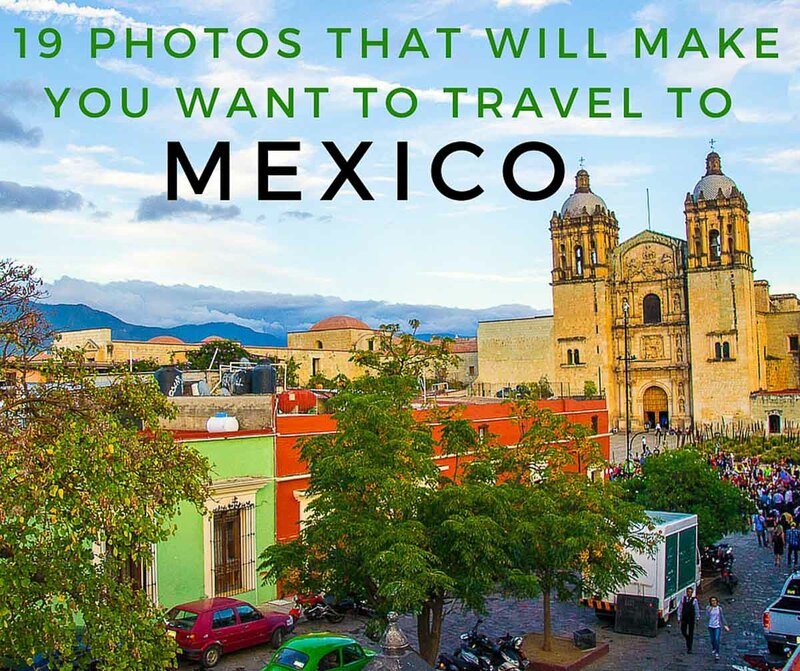 Are you ready to travel to Mexico yet? What are you waiting for? Book your flight HERE! It ranks 15th in the world for countries with the most bird species – 1026 to be exact! Even more incredible is that it has the 4th highest number of mammal species in the world with 523! That’s pretty amazing, especially when you consider that its the 11th most populous country in the world with 121 million! 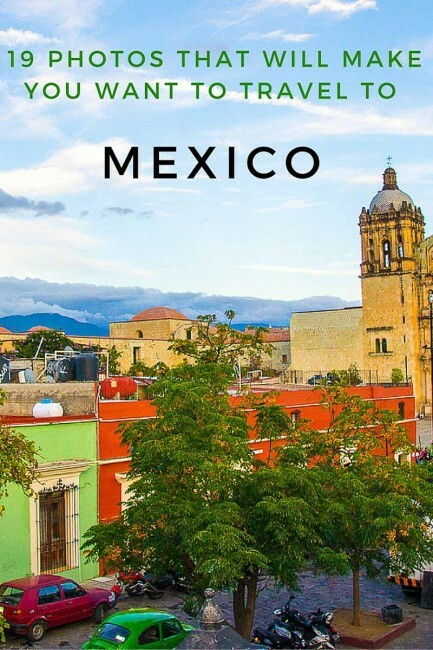 Not only that, but Mexico has even made it as one of Skyscanner’s trending destinations for 2016. For me personally, it’s the nature that really draws me in. Especially the three species of monkeys found in Mexico. Black howler monkeys will always have a special place in my heart after studying them in a rainforest in Belize for four weeks. Mexico has 33 UNESCO World Heritage Sites. 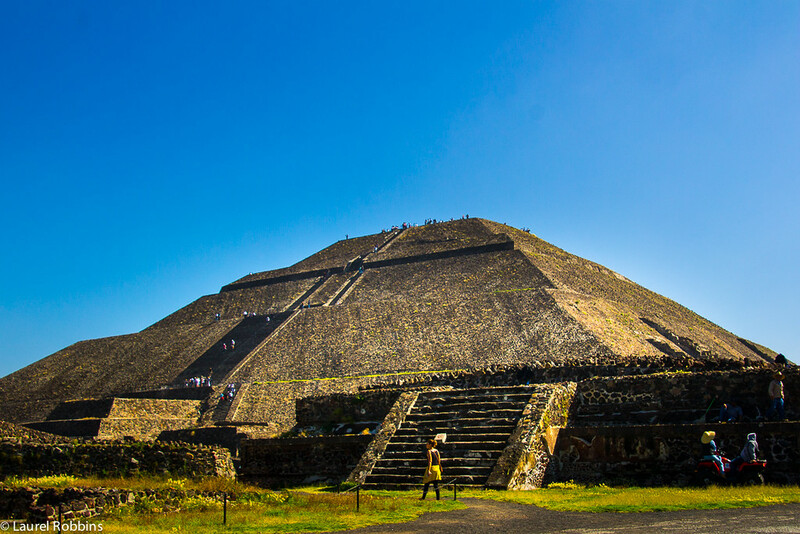 It is home to the world’s largest pyramid. Yep, the Great Pyramid of Cholula, also called Tlachihualtepetl, is bigger than the pyramids in Egypt! Mexico’s fascinating history dates back thousands of years. You can still visit some of the sacrificial sites of the Aztecs. They were known to sacrifice 1% of their population every year! That accounted to 250,000 people – each year! Talk about pressure to not be one of the chosen ones! Fortunately, sacrificial offerings are no longer practiced, so you can go ahead and book your flight without worrying about losing your head – unless you dip too much into the tequila, but that’s another story! It frequently appears in top 10 lists of best food countries and is inscribed on the Representative List of the Intangible Cultural Heritage of Humanity by UNESCO. And for very good reason. It’s a fusion of indigenous Mesoamerican cooking with Spanish influences. Its staples are drawn from locally available food sources – corn, beans and chilli peppers. Then, there are the regional specialities. One of my favourites is mole sauce. It’s a sauce made with chilli peppers and chocolate! It’s something to be tried at least once in your life. Although if you’re anything like me, you’ll keep coming back to it! Should you find yourself at a street vendor, and I highly recommend that you do, it’s not uncommon to strike up a conversation with whoever else is waiting for their food. Similarly, you can also chat with whoever you are sitting next to as you both chow down. This is normal in Mexico, and one of the things I love about travelling in Mexico. And something I cherish where in Germany, where I live is not the norm! Swim in Hierve el Aqua, a natural infinity pool near Oaxaca. Hierve el Aqua, a petrified waterfall, one of the coolest natural wonders I’ve ever seen! Near Oaxaca. Sumidero Canyon, surrounded by Sumidero Canyon National Park – and yes there are spider monkeys here! I saw a small troop eating breakfast. 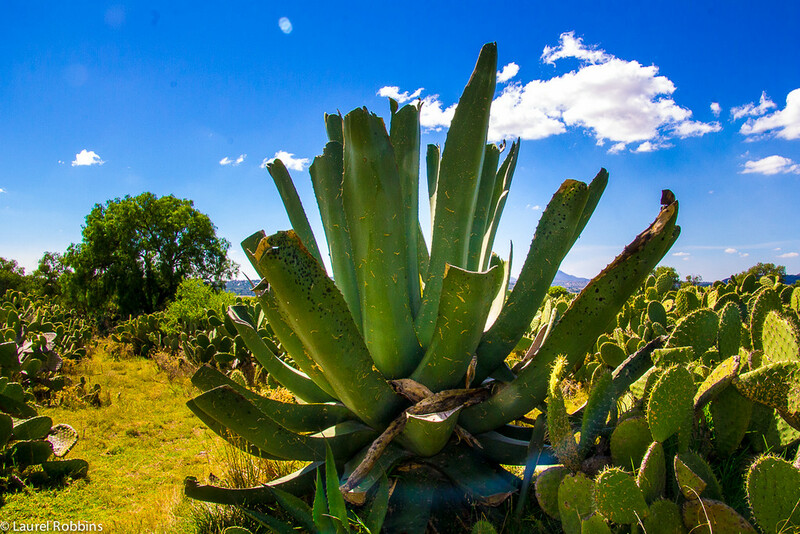 Agave plants serve as the base for Mexico’s most popular drink – tequila! Mexico is home to an incredible 1026 species of birds! The Chapultepec aqueduct near Mexico City was built by the Aztecs! One of my must-dos every time I’m in Mexico? Listening to Mariachi music of course! The singers are always passionate! 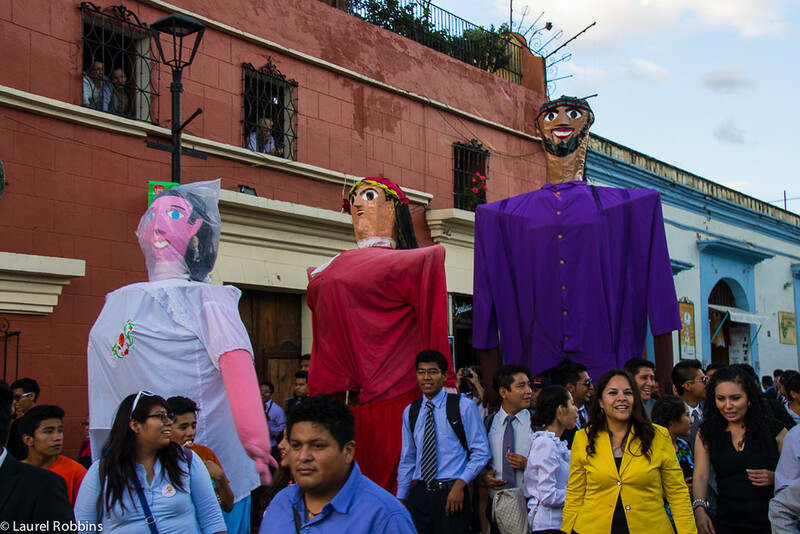 Mexico is famous for its festivals. I ran into this one in Oaxaca by chance. The energy was contagious! 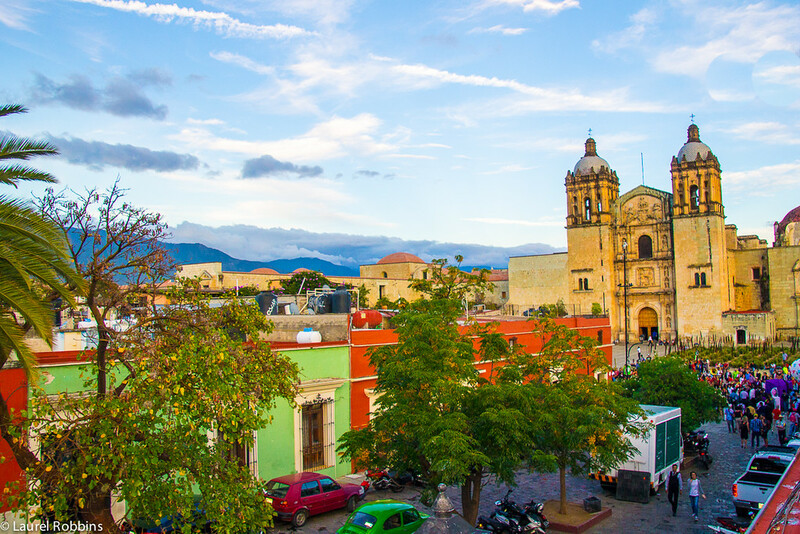 San Cristobal has incredible Spanish colonial architecture and cobblestone streets. Teotihuacan pyramids near Mexico City are a UNESCO World Heritage Site. You will find a market in every Mexican city and most towns and they’re always worth a walk through. One of my favourite things to do in Mexico is enjoy the sunset with a margarita from a rooftop bar. This one was in Oaxaca. Blue-corn tortillas are rich in vitamins and are a staple of Mexican cuisine. Check out a market and try a fruit you’ve never tried before! 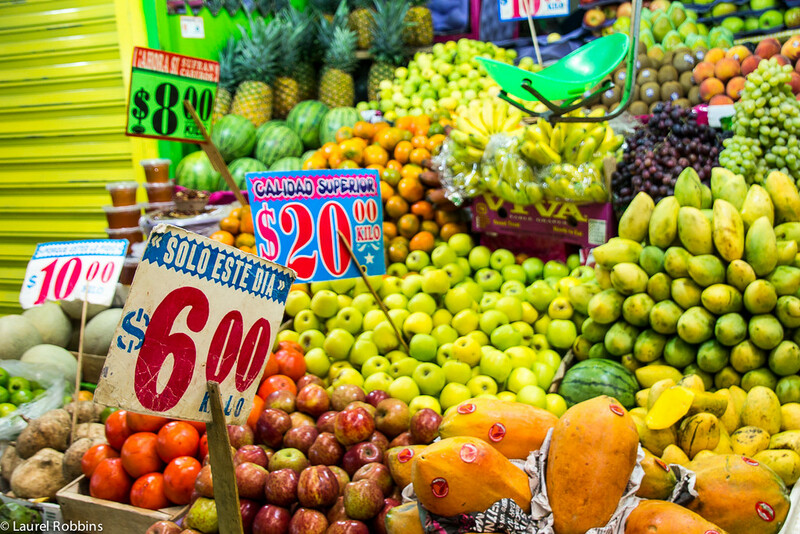 Fruit and vegetables in Mexico are incredibly fresh! Or for the more adventurous, try fried grasshoppers. I stuck to the tortillas! Mexicans are friendly. I had a wonderful conversation in my broken Spanish with this boy’s mother, who kept insisting he was older than he really was – adorable! I have been to Mexico 3 times already and... I can't wait to go for a fourth! @Claudia I totally hear you. I've been three times before as well, but there's so much more that I want to see and do in Mexico. Great pics, Laurel - you should come to the Baja California peninsula next! @Ian Paul - Thank you! I haven't been to Baja California and would love to explore the area - not to mention dive with the great whites there! @Vanessa - Thank you for the invite, I would love to visit Puebla. I'm a huge fan of Mexico and agree that people don't need to be afraid.